MOSCOW, August 28. /TASS/. 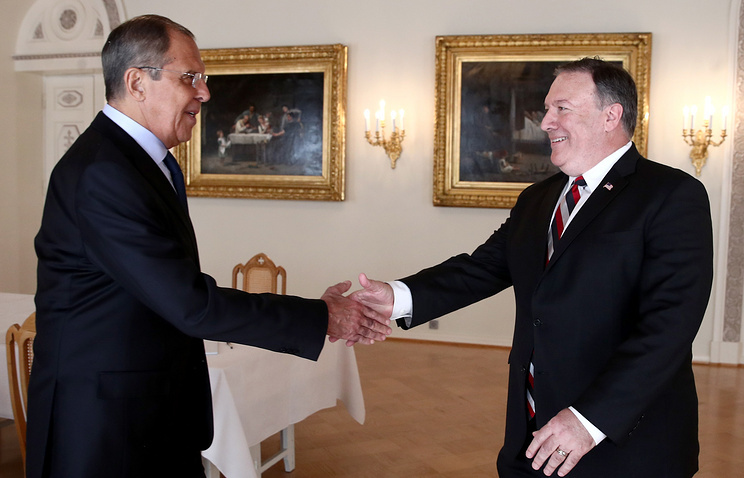 A meeting between Russian Foreign Minister Sergey Lavrov and US Secretary of State Michael Pompeo on the sidelines of the UN General Assembly in New York is possible, but there are no details on this issue, Russian Deputy Foreign Minister Sergei Ryabkov told journalists on Tuesday. “It’s quite probable, I think, but it would be reckless to state something without a clear agreement on the date and venue,” the diplomat said. Hey Buddy!, I found this information for you: "Lavrov, Pompeo may meet on sidelines of UN General Assembly in New York — diplomat". Here is the website link: https://russophile.org/lavrov-pompeo-may-meet-on-sidelines-of-un-general-assembly-in-new-york-diplomat/. Thank you.